Hotel managers that hoped their online presence was covered with a Facebook Page, Twitter posts and a Google Plus Company Page, can add another platform to the social media essentials list: Instagram. Millennials simply love this picture posting and sharing platform, which has gained over 300 million users worldwide. 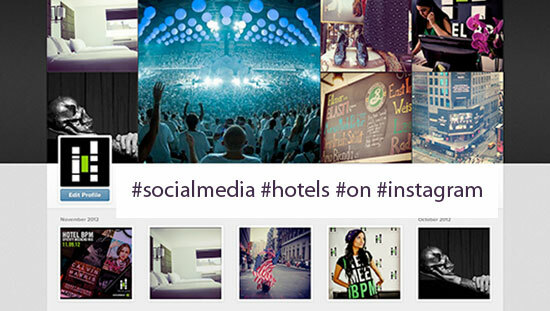 So how can you join Instagram with your hotel in a successful way? And with successful we mean that Instagram should capture the right audience for your hotel and finally generate extra traffic to your website. It started as a trendy IOS App for your iPhone only; one that makes your pictures look more stunning. Kodak would be still in the picture as a major brand if they invented Instagram. But they didn’t. Instead, Instagram grew into an enormous social platform on both iPhone and Android. Facebook bought Instagram last year for a whopping 1 billion dollars. In 2013, Instagram grew by 23%, and Facebook only 3%. Every day, over 75 million people use Instagram to share a picture they like. 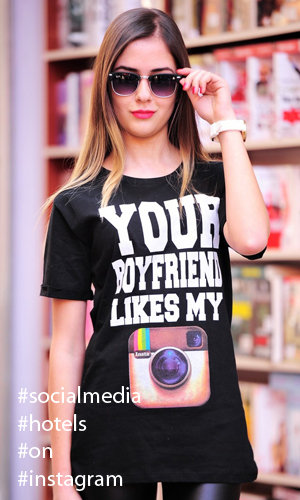 More than 30% of the teens consider it the most important social network and prefer it above Facebook. In the age group 18-29, 53% use Instagram. Male and female are equally divided. This is important stuff, as these are the Millennials, the biggest group that loves to travel and maybe choose your hotel. Since the start, in october 2010, 40 billion pictures have been uploaded (march 2019). Instagram has a restricted policy regarding hashtags and links. You can not post and place a link to your post or comment. Well, you can, but it will not work as a link; people have to copy it and paste it into their browser. There is one place where you can place a link, and that is in your bio. Together with 150 characters, this is the place that is essential to make a good first impression. Don’t repeat your standard text that is already on your website, but be creative in explaining what Instagrammers can expect from your hotel. And make the link go directly to a page with your promotional offers. But think beyond your photo gallery; what would be interesting for people to look at? Are you in Paris, place some Disneyland pictures. Are you in New York, have some actual art from an exhibition. Or a theatre show. If you offer a package deal, explain the deal and the price. Plus the link to do a direct booking. Also, involve your guests in your Instagram channel. If they post a picture and “hashtag” you in it and share it with you, they get a free drink at the bar. Remember why. Their picture is a promotional visual and a testimonial! And seen by their friends and followers. And if you can organise it; post a picture from the inside. New towels coming in from the laundry? A great beef on the fire for the guests? A trolley with room serviced breakfast? Anything that looks appetizing, works! How can you be found on Instagram? Create a list of hashtags that make sense to your hotel and location. Location is the most important. Sometimes hashtags are refused by Instagram; so you have to test them well before using in a post. How can we help you with Instagram? If your hotel wants to build and maintain a relationship with a new type of guest; a guest that is very active online, you will have to adapt to their lifestyle. If you are active in social media, Millennials will discover you and see you as ‘one of them’. The teams at Hotel Marketing Support are of course keen to manage your Instagram account and post every day something worth sharing. For a price that is less than a drink at your bar. Contact us to discuss your social media, your website, and the daily management. Or simply to talk about how online marketing can generate more traffic and more direct bookings for your hotel, lodge or bed & breakfast. Share the post "Your hotel looks great on Instagram!"